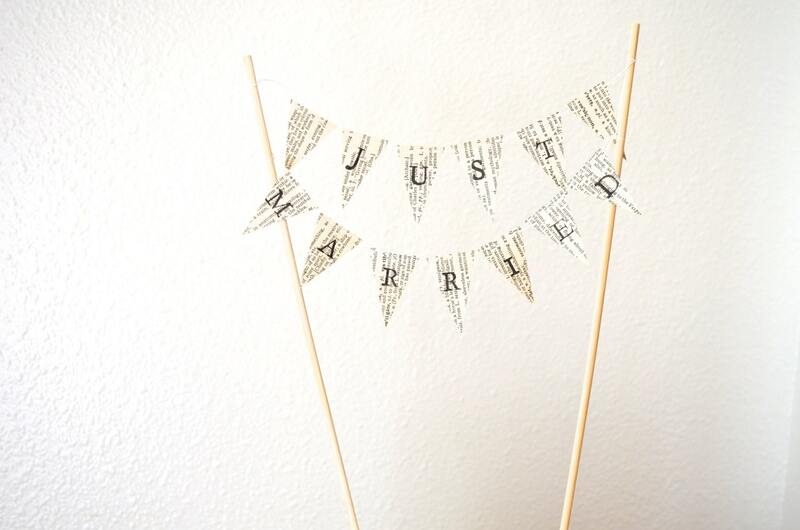 JUST MARRIED Hand Stamped Wedding Cake Topper Garland - Choose from vintage book, map, or kraft brown paper. Custom colors available. 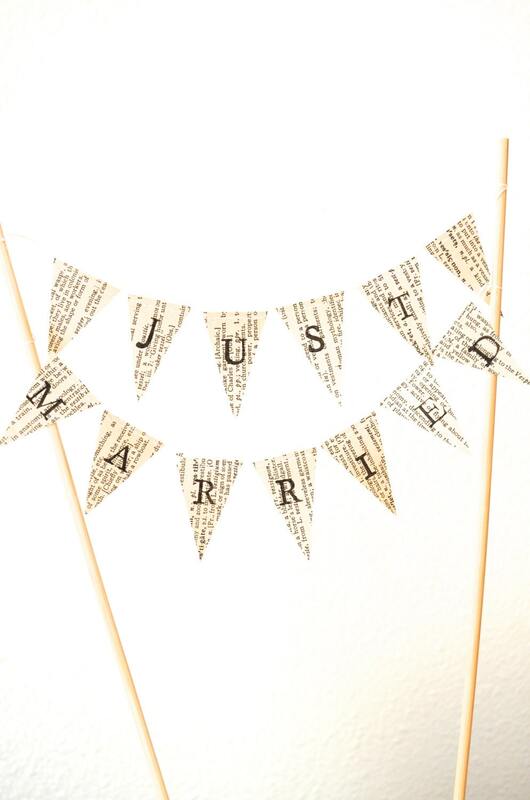 Mini triangles, each hand stamped and sewn together into little bits of bunting to adorn the top of your cake, spell out "Just Married" - perfect for celebrating your special day! 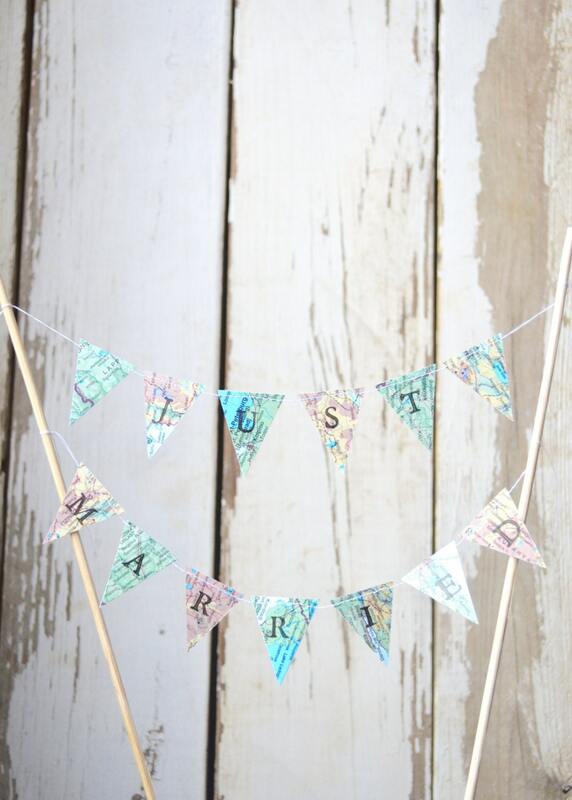 Each little piece of vintage paper is about one and a half inches tall and the mini buntings are attached to a pair pair of twelve inch tall bamboo poles. 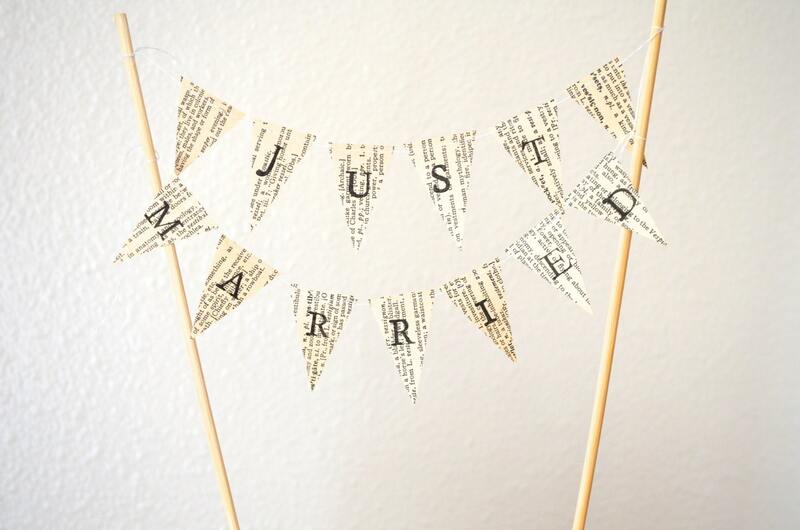 - would you like a color other than vintage book paper or vintage map, or would you like custom wording? Contact us - we love custom orders! Super cute! The kraft paper is perfect for the look I was going for. 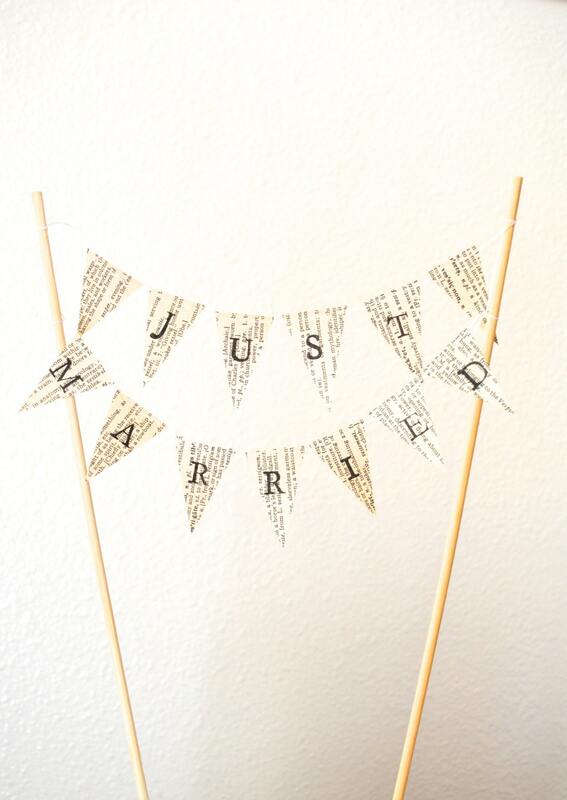 Can't wait to use this for my wedding. Looks great! Seller was super accommodating when I requested a custom order and it shipped out quickly! This was received very quickly and was exactly as described. Simply perfect and exactly what we wanted. Thank you!